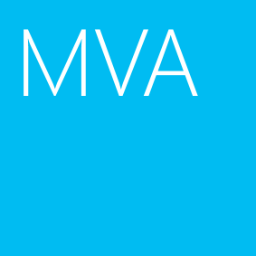 As previous post, Review a MVA course (Using PowerShell for Active Directory) Module 1 and 2, I made some notes for Module 1 and 2 of Using PowerShell for Active Directory when I was watching this MVA course. I'm going to watch and make some notes for Module 3. In this module, Jason and Ashley started to talk about query information from Active Directory. Basically, we can use 3 types of filter of Get-ADUser which are filter, Identity and Ldapfilter to query Ad user. The interesting thing is we can combine commands and PowerShell cmdlets to get the output like "Get-ADUser -Identity (whoami /user /fo csv | ConvertFrom-Csv | Select-Object -ExpandProperty SID)" to get the SID information of the current user. Then, they talked about the scope for Active Directory query. "Get-ADRootDSE", "Get-ADDomain" and "Get-ADForest" are the method to limit the scope because we can use a property of these results to let us query Active Directory easily. After that, they did demonstrations to Active Directory information by performing "Get-ADRootDSE", "Get-ADDomain" and "Get-ADForest". Finally, they did a demonstration to find a nested member of a group by performing Get-AD User -Filter "memberof -RecursiveMatch '$((Get-ADGroup "Domain Admins").DistinguishedName)'" -SearchBase $((Get-ADUser Guest).DistinguishedName). Remark: All PowerShell scripts were written by Ashley McGlone. You can download the scripts from the following web site.